1967.12 Moved to Beirut, Lebanon because of father's business. 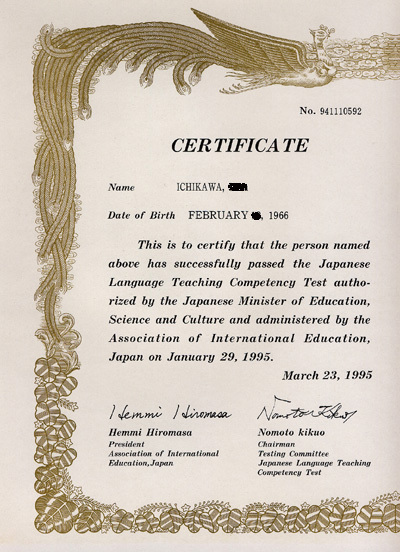 This test is intended to establish the profession of Japanese teaching and create a high standard for Japanese language education. 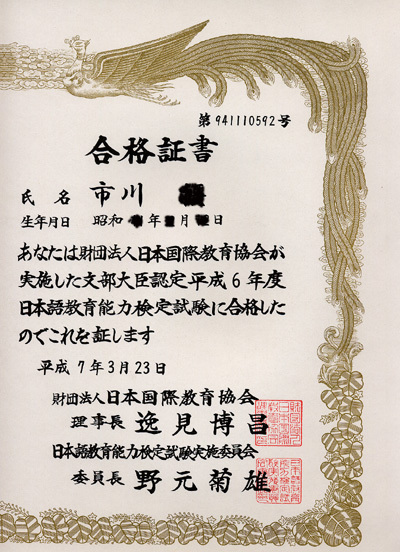 The test examines the applicants' knowledge and ability, which are necessary to be a specialist in Japanese education. It is held once a year, and the pass rate is about 18% every year.